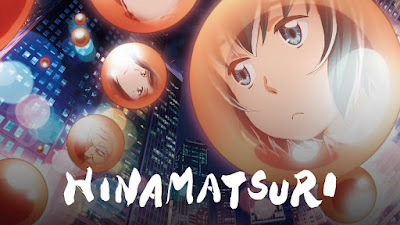 The anime Hinamatsuri is based on the manga by Masao Otake, serialized since 2010 in Comic Beam, an "alternative" manga magazine published by Kadokawa. Comic Beam has a monthly circulation of thirty thousand (Young Jump has a weekly circulation of two million). Manga writers and publishers hardly ever turn a profit on first serialization rights. The manga has been collected in fifteen tankoubon compilation volumes to date. Sort of like an art house film that hits it big in DVD/Blu-ray distribution. The title is a play on "Hinamatsuri" (雛祭り). The traditional Doll Festival held on March 3, it's the second of Japan's five seasonal festivals. In the manga and anime, Hinamatsuri means "a festival for Hina," around whom the world must revolve because she'll destroy it if it doesn't. Except the first episode begins with Mao, not Hina. Then we flash back three years and don't learn anything more about Mao until episode nine. Get used to it. I'd have to read the manga to see if this lack of continuity results from an attempt to condense a whole lot of plot into a dozen episodes. Not every anime based on a manga has the budget or audience to step through each chapter in order. The plot compression can be handled well, as from the Chihayafuru manga to the anime to the live-action movies. Or it can be a disaster, as with the Ghost Talker's Daydream anime. Despite taking in medias res to a bewildering extreme, Hina­matsuri works surprisingly well as a string of interconnected stories that could be titled "Down and Out in Tokyo's Red Light District." Though Hina is the de facto main character, she's more a catalyst. 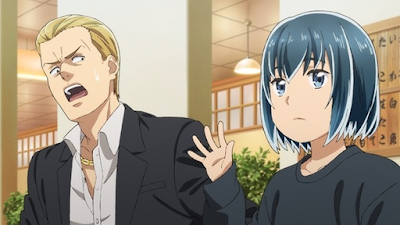 Hinamatsuri is about the people whose lives and outlooks change after they come into contact with Hina, quite often for the better. The first is Yoshifumi Nitta, a mid-ranked yakuza. In addition to the illegal activities they are infamous for, most yakuza organizations in Japan are legal corporations that own above-board companies. Nitta is in charge of several (real estate, in particular) and enjoys a comfortable lifestyle. Then one day Hina drops into his condo through an inter-dimensional portal (also never explained). Nitta's first reaction is, "I'll pretend I didn't see that." But Hina is impossible to ignore. Hina has about as much emotional affect as Robert Patrick in Terminator 2 and is no less destructive. Some sort of bio-engineered child assassin with telekinetic powers, she doesn't know what what she's doing there either, and assumes she's on a mission and Nitta is her handler. As will become apparent, the technologically advanced society that produced Hina and her sisters has serious quality control problems. This mistaken assumption quickly comes in handy when Nitta has Hina literally defenestrate an entire rival gang in one fell swoop. 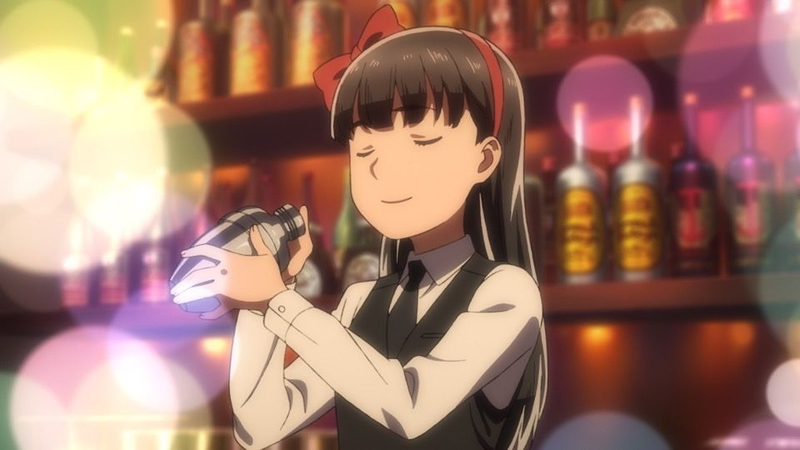 As best I can tell, Hinamatsuri follows the George of the Jungle rule: "In this film nobody dies, but they will get big boo-boos." Except by that point, Nitta is stuck with her. After she demolishes his condo several times over (including his collection of porcelain vases), they come to a truce about when and how she can use her superpowers. He further buys her acquiescence with salmon caviar. She really loves caviar. Hinamatsuri thus turns into a very odd addition to the "single dad raising a kid" genre. 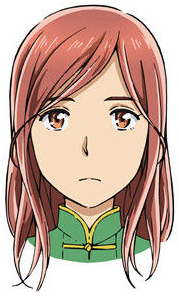 At first, Nitta tells people that Hina is his long-lost daughter. By the time he begins to grasp the repercussions of this handy explanation, the two of them have assumed their respective roles. As a brand new dad, Nitta finds himself with the responsibility of turning his tiny T-1000 into a "normal" girl. But Anzu has already been dispatched to "deal with" Hina. There's a whole squadron of these telekinetic pre-teens ensconced somewhere. Fearing a full-on fight could destroy several city blocks, Nitta convinces them to settle their differences with a powered-up version of rock-paper-scissors. Which Hina handily wins. And then, while doing the laundry, Nitta accidentally tosses Anzu's inter-dimensional portal switch into the washing machine. (It does kind of look like one of those Tide pods.) Stuck here, written off as "missing in action," Anzu is taken in by a homeless camp. Meanwhile, Hina starts attending school, but only because that's what she observes other kids her age doing. She sleeps through class. Otherwise she tags along with Nitta, plays video games, and eats caviar. Well-intentioned attempts at housekeeping only result in her wrecking the house. Hitomi, one of Hina's classmates, takes it upon herself to make friends with Hina (to whatever extent Hina can grasp the concept). The problem is, getting together with Hina after school usually means meeting her at the Little Song Bar, where Nitto likes to hang out and hit on Utako, the proprietress. One thing leads to another and Hitomi turns out to be really good at bartending. Really good at business, period. Unfortunately, the anime ends before we can watch her hit her stride as a young Warren Buffett. 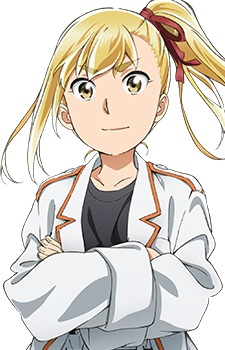 So it's Anzu who ends up with the most compelling character arc. 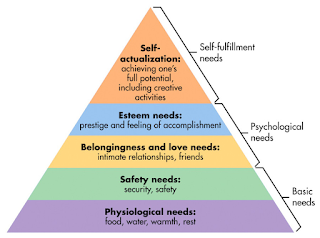 She starts out with nothing, at the very bottom of society, and slowly but steadily climbs Maslow's Hierarchy of Needs to become an authentically good person with a strong sense of moral responsibility. "Moral growth" for Hina means "no longer a cute sociopath." When her actual handler finally tracks her down, she is surprised that Hina hasn't demolished the city and is even more amazed to discover that Hina is a functioning member of society. 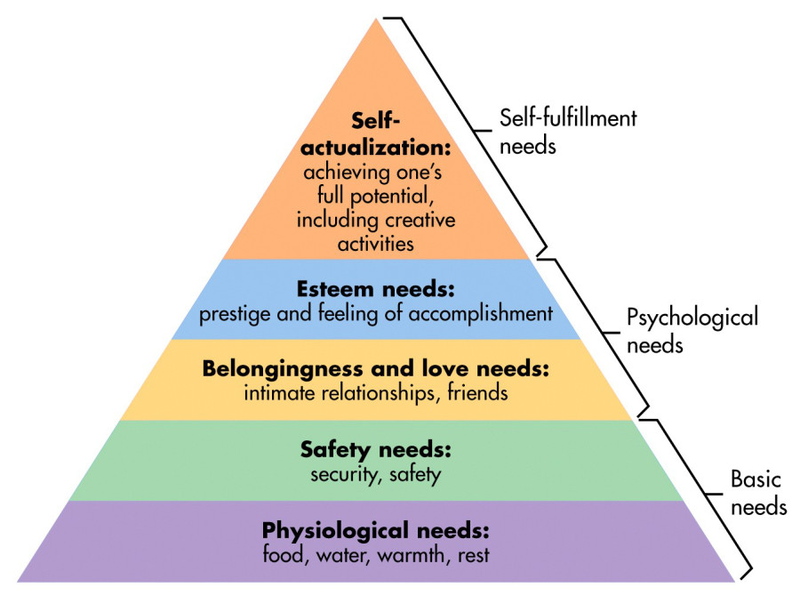 Hardly self-actualized, but functioning. Mao's story has the most complete plot, except she only gets a couple of minutes in the first episode, an episode in the middle (that's a dang good remake of Cast Away), and half of the last episode. Mao deserves a series of her own. Equally true of Anzu and Hitomi too. The anime ran in Japan from April through June of this year. So it's possible we'll see another cour or two. One Peace Books released the first English-language volume (of fifteen to date) in September.